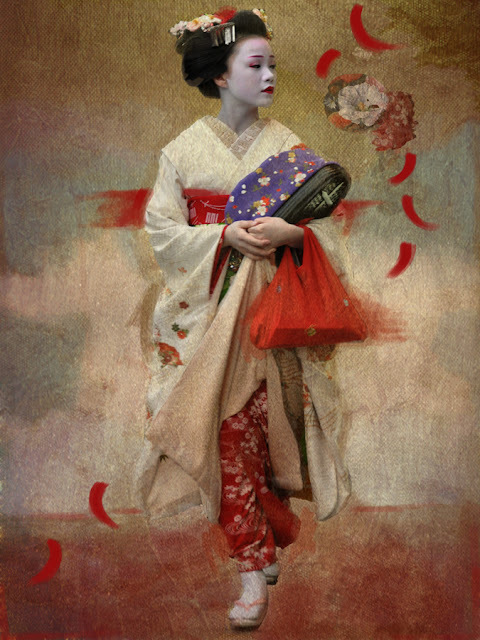 In my artworks I tell stories through the narrative use of photography combined with painting. By blurring the boundaries between painting and photography, I come close to the line that divides reality from dreams. I believe that the stories of daily life, which are important as much as they can appear understated, have inspired me whilst travelling around the world, leaving a profound mark in myself. Everyone has a story to tell: images and visions speak for themselves. In my artworks, I search for the dreams of realities, to transform melancholy into colourful or golden hope. What lies inside my soul, my origins and background emerge in my artistic voice, to bring out a imagery infused with the nature of the South of Switzerland and ancient paintings of the European tradition. 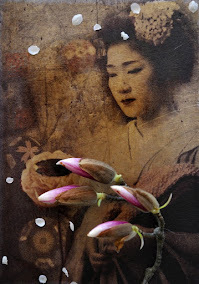 Natural pigments, Japanese lacca, gold and silver leaves, oil colours and urushi marry photography, in a one off series of creative experiments. By blurring the boundaries between painting and photography, I come close to the line that divides reality from dreams. I believe that the stories of daily life, which are important as much as they can appear understated, have inspired me whilst travelling around the world, leaving a profound mark in myself. Everyone has a story to tell: images and visions speak for themselves. In my artworks, I search for the dreams of realities, to transform melancholy into colourful or golden hope.